I am sent several high end products to try each week. I have worked for brands with high-priced skin care. I have been given these products to use as part of my compensation. So why are about 60% of the products I am using on my face DRUGSTORE products? I will tell you why: Drugstore products, in many cases, are just as good as their high-end counterparts. What is even better is that it is no longer impossible to find great quality drugstore products free of less than stellar ingredients. 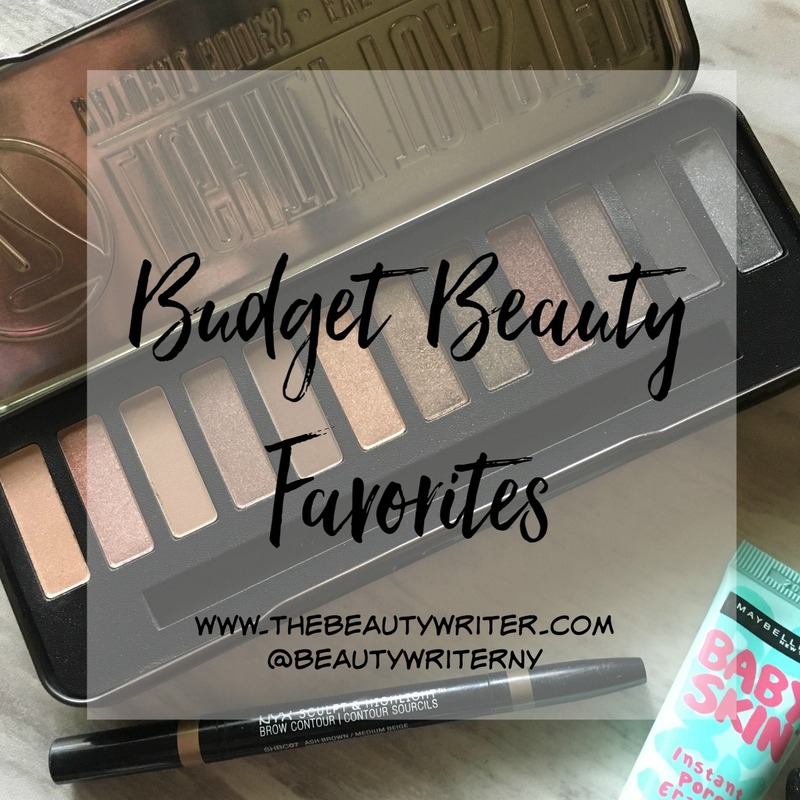 I switch around my brands quite a bit based on what I am reviewing, but when I sit here and think about what I am using right now, I have to share how you can find great products without breaking the bank. 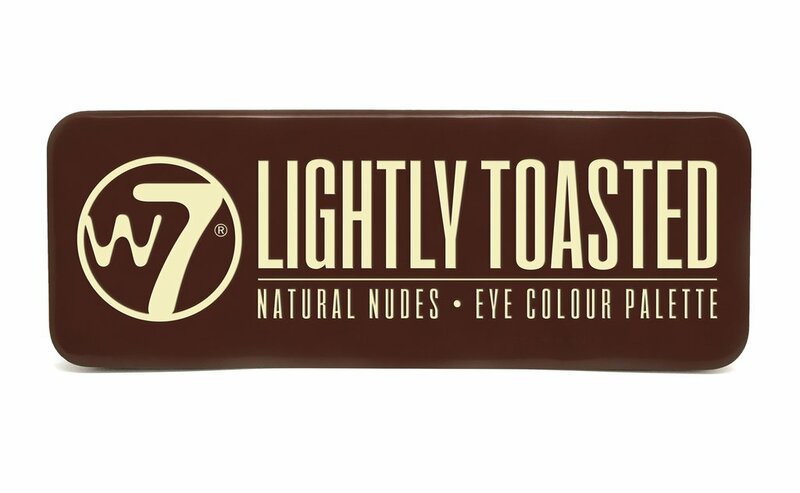 The W7 Lightly Toasted Palette is stellar! It is everything you want out of the original Urban Decay Naked Palette but without the fallout and high price tag. Brushes matter when using this - or any shadows- so ditch the applicator that is included and use your good brushes. My favorite brushes are from It Cosmetics, Cat Cosmetics, Jane Iredale, and Real Techniques. Applied with high quality brushes, the W7 shadows are silky, buildable & highly pigmented. For those avoiding parabens, this is the one item in this post that is not paraben free. When it comes to parabens, however, the scientific community has spoken. I no longer fall for the ridiculous fear mongering. Science is greater than fear. Here is a good link for you if you are still worried about parabens. 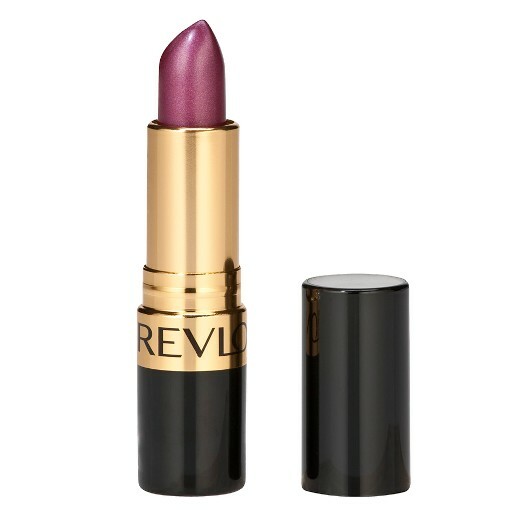 I am on my third tube of Revlon Iced Amethyst 💄- it is my perfect shade and rich & creamy. Plus, it is just $4.99 at Target. I have not purchased three tubes of the same lipstick since I was working for Estee Launder and used to go through Divine Wine quickly because it was "my" shade. That was in the late 1990s. The Iced Amethyst is much cheaper, creamier, and longer lasting. No, the ingredients aren't "clean" or green, but the product is paraben free and it leaves your lips looking healthy with richly pigmented colors. It's the best budget lipstick formula out there - tried & true. I finished my Smashbox Photo Finish Primer and am loving the $5 Maybelline Baby Skin Instant Pore Eraser. The moment I tried this one, I thought to myself, "I have tried this one before." I knew I hadn't, but it felt identical to a primer I used to use: Make Up For Ever HD Microperfecting Primer. That product has been discontinued, but the ingredients list is very similar and side by side in a blind test, you would not be able to tell the product apart. 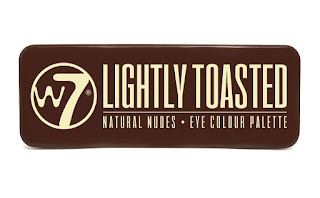 I put this on my oily t-zone and use an illuminating highlighter from e.l.f. on the rest of my face. Another repurchase: I am on my fourth NYX Sculpt & Highlight Brow Contour in Ash Brown. 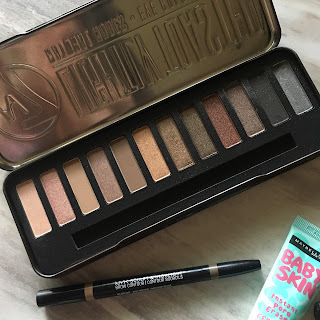 It is superior to my other 3 favorites in rotation from Anastasia, It Cosmetics and Milk Makeup. Under $10 at Target! This is a two sided eyebrow product. 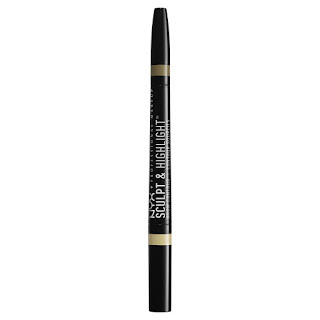 One side features a silky soft highlighting thin crayon to apply under the brow bone, while the other is your color to add definition and fill in your brows. This is really a lovely product. Ingredients: Highlight Ingredients: Ricinus Communis (Castor) Seed Oil, Caprylic/Capric Triglyceride, Talc, Ethylhexyl Stearate, Paraffin, Ethylhexyl Palmitate, Mineral Oil/Paraffinum Liquidum/Huile Minerale, Hydrogenated Castor Oil, Ozokerite, Polymethyl Methacrylate, Microcrystalline Wax/Cera Microcristallina/Cire Microcristalline, Copernicia Cerifera (Carnauba) Wax/Copernicia Cerifera Cera/Cire De Carnauba, Petrolatum, Polybutene, Ethylhexylglycerin, Phenoxyethanol. May Contain (+/-): Mica, Titanium Dioxide (CI 77891), Iron Oxides (CI 77491, 77492, 77499). Contour Ingredients: Caprylic/Capric Triglyceride, Ozokerite, Di-C20-40 Alkyl Dimer Dilinoleate, Ricinus Communis (Castor) Seed Oil, C30-50 Alcohols, Hydrogenated Castor Oil, Ethylhexylglycerin, Phenoxyethanol. May Contain (+/-): Titanium Dioxide (CI 77891), Iron Oxides (CI 77491, 77492, 77499). 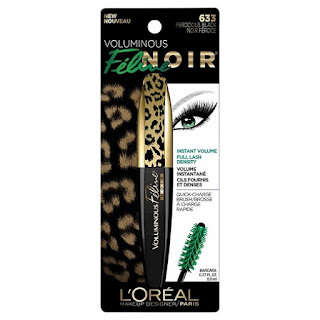 Lastly, it's another beautifully formulated mascara from L'Oreal -- the Voluminous Feline Noir Mascara, which is a good dupe for Lancôme Hypnose Buildable Volume Mascara, which sells for $27.50. By the way, we've discussed it here before -- L'Oreal is the parent company of Lancome. I have found since my days of working for Lancome (starting my junior year of college) that there is a L'Oreal dupe for just about every single Lancome product. I would say that this L'Oreal mascara is the perfect duper for the Hypnose. Just $8 at Target, this mascara lives up to its claims. Not going to lie: this is my favorite mascara of all time. It is official and, after 20+ years of searching, I really believe this is what I'd call my holy grail mascara. Ingredients: Aqua / Water / Eau, Paraffin, Potassium Cetyl Phosphate, Copernicia Cerifera Cera / Carnauba Wax / Cire De Carnauba, Ethylene / Acrylic Acid, Copolymer, Styrene / Acrylates / Ammonium, Methacrylate Copolymer, Cera Alba / Beeswax / Cire Dabeille, Synthetic Beeswax, Bis-Diglyceryl, Polyacyladipate-2, Polybutene, Cetyl Alcohol, Steareth-20, Glyceryl Dibehenate, Steareth-2, Phenoxyethanol, Hydroxyethylcellulose, Acacia Senegal Gum, Tribehenin, Caprylyl Glycol, Glyceryl Behenate, Sodium Dehydroacetate, Hydrogenated Jojoba Oil, Hydrogenated Palm Oil, Disodium EDTA, Butylene Glycol, Sodium Laureth Sulfate, Stearyl Alcohol, Myristyl Alcohol, Silica, Tetrasodium EDTA, Potassium Sorbate, BHT. May Contain: CI 77491, CI 77492, CI 77499 / Iron Oxides, CI 77007 / Ultramarines.